Researchers in Spain have begun the search for the remains of literary icon Miguel de Cervantes, author of The Adventures of the Ingenious Nobleman Don Quixote of La Mancha. Although Don Quixote, today considered the first modern Western novel, was recognized as a pioneering masterpiece as soon as the first volume was published in 1605, its author’s mortal remains rest in an unmarked grave somewhere in the Convent of the Barefoot Trinitarians in Madrid. It wasn’t always thus. After his death on April 22nd, 1616, Cervantes was laid to rest in the convent in a properly marked grave. The author left instructions in his will that he be buried in the convent which had been built just four years earlier in 1612. It happened to have been built near his home, but that wasn’t the reason for his selection. 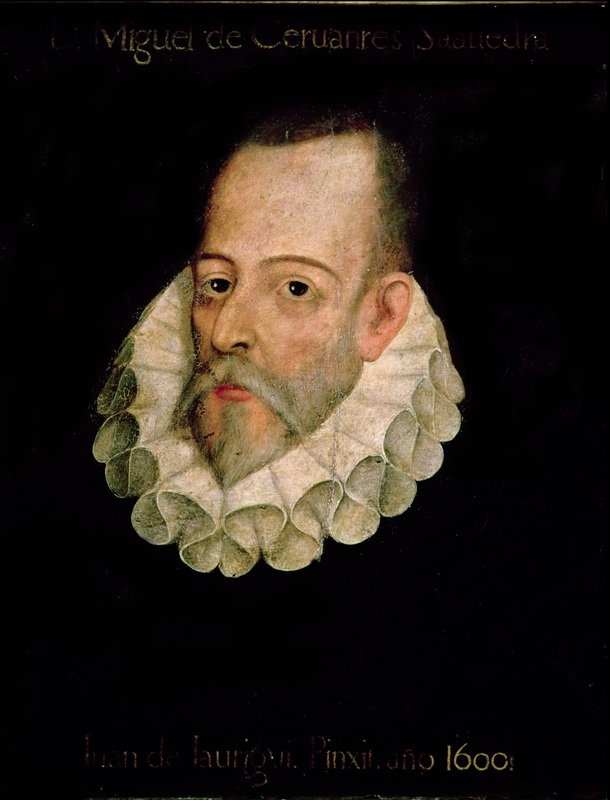 Cervantes had a deep bond of gratitude tying him to the Trinitarian order. In 1571, the 24-year-old Miguel de Cervantes, then traveling in Italy, joined the Spanish army. 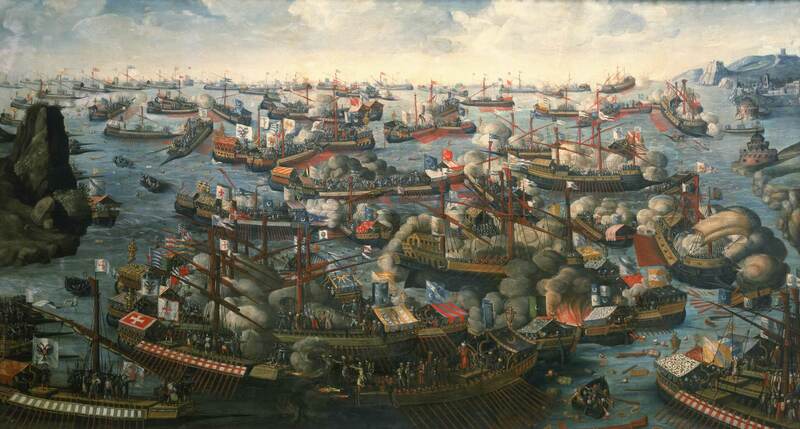 He was a soldier in the company of Captain Diego Urbina on the galley Marquesa when he fought in one of the seminal battles of European history: the Battle of Lepanto, a naval battle between the Holy League of several European countries and the Ottoman Empire that took place on October 7th, 1571, in the Gulf of Corinth. According to a contemporary report, Cervantes showed great bravery. He was ill with a fever, but refused to stay below deck. He insisted that he would rather fight and die for king and God rather than be safe and hide. In the course of the battle he was shot three times, twice in the chest and once in his left arm. The latter broke both the radius and ulna and severed a nerve, leaving his left arm almost entirely without movement. He convalesced for six months and then reupped, fighting in several Mediterranean battles. In September of 1575, his ship, the Sol, was attacked by Algerian pirates and he was taken captive. For five years he was a slave in Algiers. He led four unsuccessful escape attempts before he was finally ransomed in 1580. His family was nearly bankrupted raising the funds to free him and his younger brother Rodrigo, and they wouldn’t have been able to do it without the help of the Trinitarians. The Order of the Most Holy Trinity for the Redemption of the Captives was founded in the late 12th century with the ransoming of Christians captured during crusades and by non-Christian pirates as one of its pillars. 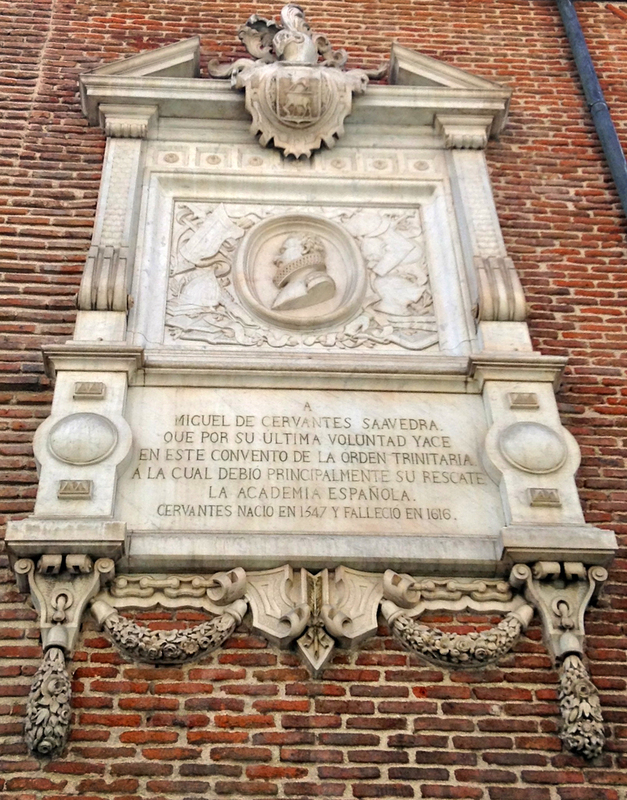 Cervantes never forgot the service the Trinitarians did him and his family. That’s why he chose to spend eternity in the embrace of the Trinitarian convent. Unfortunately eternity was interrupted in 1673 when the convent was rebuilt and expanded by architect Marcos Lopez. Cervantes’ remains and those of the other dignitaries buried there were removed during construction and reinterred in the new church, only this time the graves weren’t marked. The city would benefit financially from tourists being able to visit the grave of Spain’s greatest writer, but that’s not its sole motivation in funding a search for his remains. 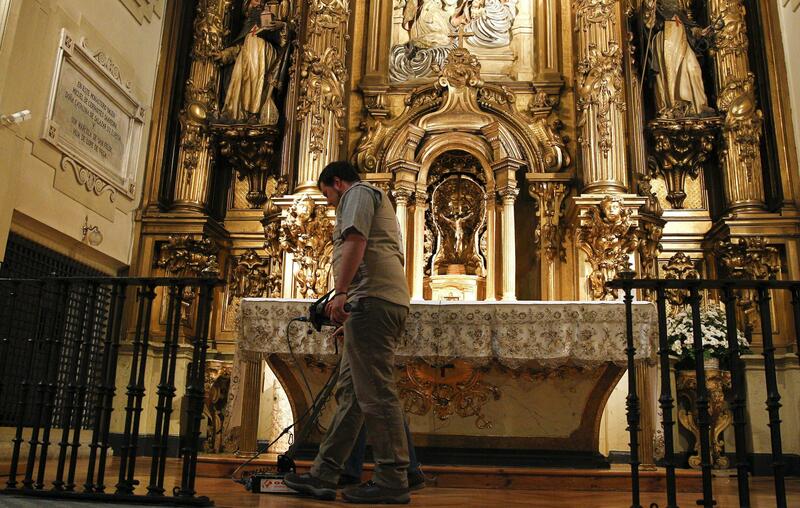 “Why search for the remains of Miguel de Cervantes? Because he is a figure of worldwide importance. Because all humanity is in his debt. And because we have the opportunity and the technology capable of finding those remains, removing them from an anonymous grave and covering them with a memorial stone,” said Fernando de Pardo, the historian in charge of the project. 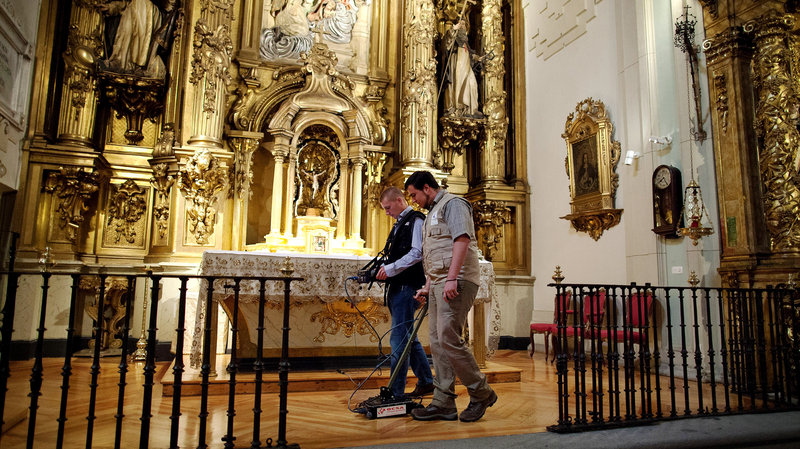 On Monday, the dozen cloistered nuns who live in the convent separate from all contact with outsiders made way for technicians from Falcon High Tech to begin a sweep of the foundations and walls with ground-penetrating radar and infrared scans. A previous GPR sweep in 2011 bore no fruit. The hope is that this time new magnetic impulse technology will penetrate further and provide more detailed results illuminating the location of grave cavities within the structure. At least 15 people are known to have been buried in the convent, two of them close to Cervantes, so even if remains are discovered there’s no guarantee they’ll be those of the author, or that it will even be possible to pick out his from a potential bone jumble. His war wounds and dental damage will be instrumental to identification. The shots from an arquebus (a muzzle-loaded, smoothbore longarm firearm that was a precursor to the musket and rifle) can’t help but have left evidence of their presence in his chest and left arm. an oval visage, chestnut hair, smooth open forehead, lively eyes, a hooked but well-proportioned nose, and silvery beard that twenty years ago was golden, large moustaches, a small mouth, teeth not much to speak of, for he has but six, in bad condition and worse placed, no two of them corresponding to each other, a figure midway between the two extremes, neither tall nor short, a vivid complexion, rather fair than dark, somewhat stooped in the shoulders, and not very lightfooted…. There are no confirmed portraits of Cervantes from life. Cervantes mentions a portrait of him by Juan de Jauregui y Aguilar in the Exemplary Novels and there is a painting that claims to be of Cervantes that was attributed to Jauregui in the past, but modern scholarship doesn’t accept the attribution. Some people think this El Greco portrait from ca. 1605 may be of Cervantes, but the only evidence is that he was in Toledo around the time the portrait was painted and had friends in common with El Greco. Researchers hope that if they do find the remains, they might be able to do a facial reconstruction to give us our first confirmed portrait of Miguel de Cervantes. There are several obstacles to overcome before they get to that point, however. First, they have to find viable results from the radar sweep. After three weeks of careful analysis, those results will be presented to Madrid’s city hall where they will decide whether there is enough evidence to break ground on an archaeological excavation. They have the permission of the Trinitarians to proceed with excavations should it get to that point. If researchers do get extra lucky and manage to find the remains of Cervantes, after analysis they will be reinterred in the convent as per her final wishes. This time, however, there’s going to be a monument involved, or at least a plaque. This entry was posted on Tuesday, April 29th, 2014 at 11:41 PM	and is filed under Modern(ish). You can follow any responses to this entry through the RSS 2.0 feed. You can skip to the end and leave a response. Pinging is currently not allowed. Ah, but he’s in La Florida drinking of the Fountain of Eternal Youth. If you’ve been shot three times, not being light-footed is no surprise.